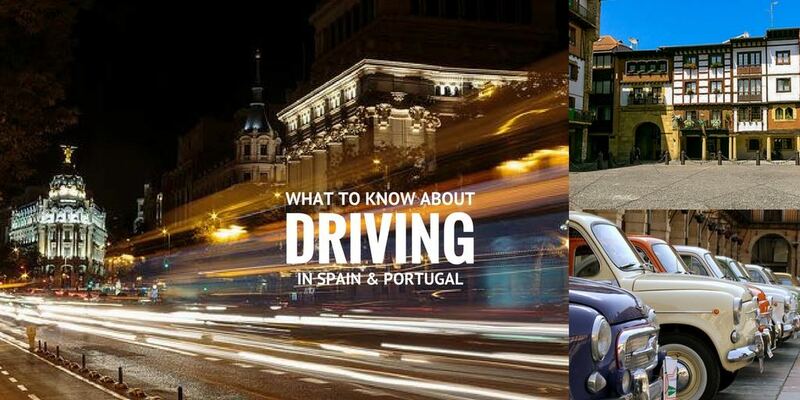 Planning on Driving in Spain and Portugal? We’ve already written up lots of great driving routes in Spain and trips to Portugal including the many Camino de Santiago driving tours, the wonderful Costa Brava, the Northern Spanish coast, touring Spain’s bodegas in La Rioja, Rioja Alavesa, Ribera del Duero and Jerez. 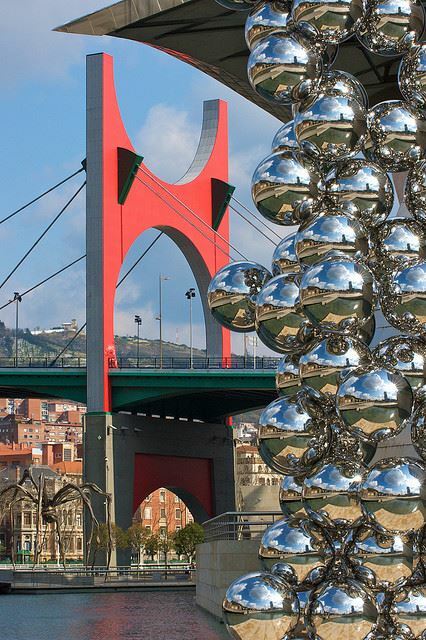 What about a trip from Madrid to Porto taking in Portugal’s first Parador? We have so many more driving routes to recommend but first, let’s take you through the do’s & don’ts when driving over here. Start with the obvious, in Spain and Portugal we drive on the right. So, if you usually drive in the UK, Ireland, Malta and Cyprus, South Africa, India, Japan, Australia or New Zealand, you certainly need to remember this! There are four main bands of speed. The limit is 50km/hr in built up areas, 90km/hr outside built up areas, 100 on roads with a hard shoulder or on a dual carriageway, and 120 on motorways. See the EU’s page on speed limits for Spain and Portugal for more. The legal drinking limit in Spain & Portugal is 0.5 grams per litre which is in common with most European countries. It’s impossible to say what that actually means in terms of units of alcohol because it is so dependent on what you’ve eaten as well as your height, weight and other factors but it’s not a lot. 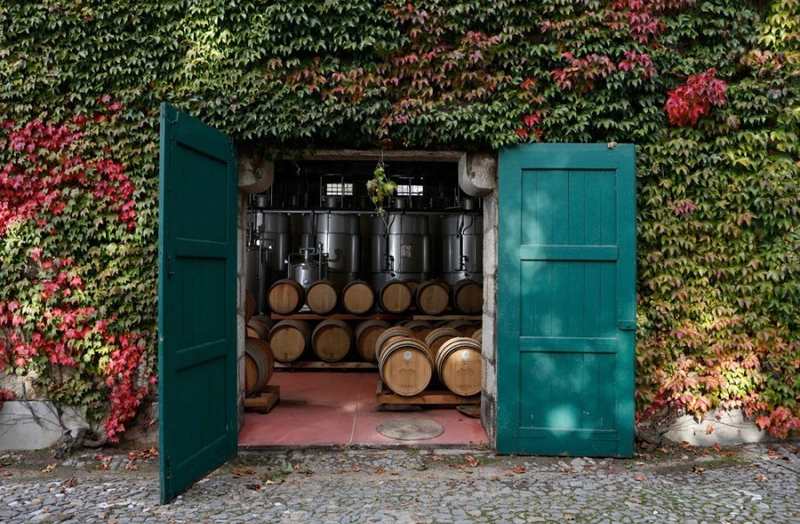 We encourage hiring a private driver for the days when you suspect you may be consuming alcohol – eg visiting wineries. Spain is the fifth safest country to drive in the EU with 36 deaths per million inhabitants which makes it safer than the EU average at 51 (which is the same as France). Portugal is a little below the EU average with 61 deaths per million but still ahead of places such as Belgium and Greece. See stats for more. If you are visiting Spain from a member of the EU or Iceland, Liechtenstein or Norway, you can drive with your own national driving license. If you are from outside the EU, you’ll have to check with your nearest Spanish embassy whether you need to take out an international driving license. If you don’t need one of these but your license is not written in Spanish, you will need an official translation for it to be accepted as a valid document. 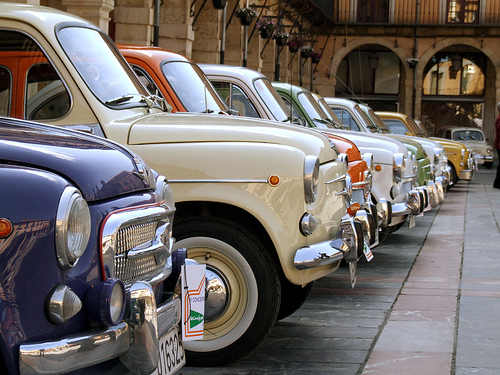 If you are bringing your own vehicle into Spain, make sure you can prove its yours – with a registration certificate. It’s always good to keep a copy of this outside the car – perhaps in your luggage or online where you can access it. Remember you also need to display a sticker to show the car is not Spanish or Portuguese. Road signs are very different in every country. A good road map will also indicate the common signs and what they mean. And we love this helpful and humorous post on Spanish and Portuguese road signs. Children under 135 cm tall (that’s about 4 foot 5 inches) must travel with the appropriate harness, seat, booster seat etc. and should sit in the rear of the vehicle. This isn’t necessary in taxis when travelling in a town or city – but once a taxi goes on the motorway, children should travel with the required seats etc. Pets also need to be harnessed while the car is in motion – you can buy a special lead in most pet stores. It is compulsory to keep a high-visibility reflective jacket in the vehicle. If something happens to your car on a motorway, you must put on the high-vis vest before exiting the vehicle so you are visible to other vehicles. You can also get fined for driving barefoot, bare-chested or wearing flip flops behind the wheel because these actions are said to impede the driver’s control of the vehicle. If you are going to the pool or the beach, remember to keep a pair of sandals in the boot. These are handled a little differently here and tend to be a bit of a free for all. So be careful. You’ll find too that the indicator isn’t always used but don’t let that stop you using yours and putting the mirrors to good use as well. Slip roads onto motorways can sometimes be quite short so again – make sure your mirrors are well adjusted and be aware that you may need to come to a stop as passing drivers often don’t yield to the traffic merging in. Don’t fancy driving in the capital? We can arrange for a private driver such as Luis to collect you at the airport and shuttle you around the big cities in style and comfort! Don’t be fooled into thinking parking customs are relaxed if you see a car parked in an unusual location. Local parking habits can be quite strange at times. Only park in a proper parking space. If in doubt ask a passer-by – as you might be on a loading bay, a cycle lane or a space temporary allocated to a house move or building site. If you don’t park in a proper space, you run the risk of getting a fine or being towed away which can be a costly pain to sort out. Don’t expect others to leave space around your vehicle to let you out. Street parking is another form of art and drivers here nuzzle right up and even touch park to get in and out of a space. If you value your bumpers and paintwork or want to avoid any extra charges on a rental, park in a car park – not on the street. Parking is rarely included in your hotel room rate – unless you are staying in a rural location. Expect to pay around 20 euro per night. 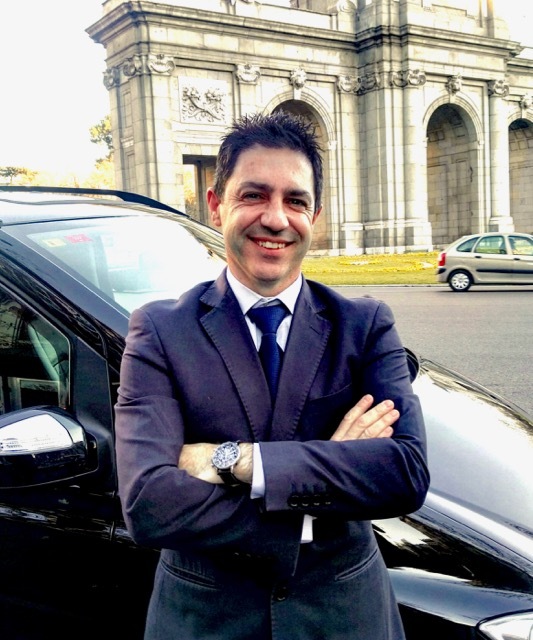 If you are staying in a city like Madrid and Barcelona, and not driving much, consider returning the vehicle and hiring another when you hit the road again. 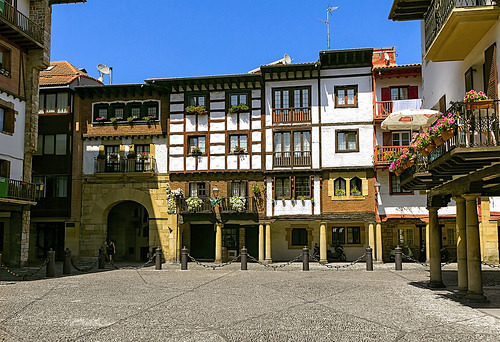 In smaller historic cities, consider choosing hotels outside the old quarter, not only because parking is cheaper and more accessible but you’ll likely avoid streets which are pedestrianised and an ordeal to navigate. If your hotel has no car park, check if they have an agreement with a nearby carpark and be sure to get the hotel to stamp your ticket. When touring and driving in Spain & Portugal, our advice is to always park in a well-lit public carpark with your boot or trunk backed right up against the wall. Most towns and cities operate a metered parking system that only allows parking for two hours at a stretch. If you don’t get back in time you face a potential fine or worse, your vehicle has been towed away! 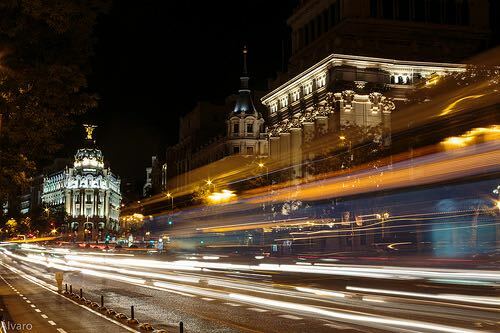 Traffic on bank holiday weekends can be overwhelming especially leaving large cities like Madrid and Barcelona. If you can avoid driving on a bank holiday – you’ll thank yourself. If you are travelling with Totally Spain, we can advise you regarding best routes to take and public holidays to avoid. You can take the AVE high-speed train for long journeys in Spain – especially if you are travelling in peak season. All the AVE stations have car rental offices nearby so you can enjoy the picturesque scenery and hop in a car when it makes sense to do so. The word for toll in Spain is ‘peaje’ and is Portuguese is ‘pedágio’ and it’s well worth taking these options while driving in Spain and Portugal. In Spain, you can pay with cash or card but the system is a little different in Portugal because you need to register a credit card as you enter the country and then your toll charges on major motorways are automatically deducted from that card. Note that this does not cover the Via Verde toll. This must be paid at the toll booth. It seems a bit strange at first but you’ll get used to it. Just remember to stop at the appropriate booth to register when you arrive into Portugal. See Portugal Toll details here. If you aren’t in a hurry, we recommend taking the smaller more scenic country roads where you’ll find the UNESCO heritage sites, the walled cities, the national parks and the authentic cafes and restaurants. It’s true the scenery can be dramatic on some of the motorways but if you are behind the wheel you don’t really get a chance to appreciate it. When you are driving on the smaller national roads, you can pull over and take a few pictures of those gorgeous beaches or fields of sunflowers or olives and vines. If you pull up at a large service station, you’ll probably need to fill the tank yourself. Make sure you put the right fuel in. Petrol is called ‘gasolina’ and diesel is called diesel – pronounced dee-es-sell’ or ‘gasoleo’ in Spain and Portugal. If you are at a smaller petrol pump, you might have somebody there to help you. You’ll need to ask them: ‘Me lo llenas’ – pronounced ‘meh lo yay-naz’ meaning – could you fill the tank? Our best advice is to avoid the chains if you have the time. You can’t expect a service station chain to produce anything other than bland food – although thankfully there are exceptions but we can’t go into them here. 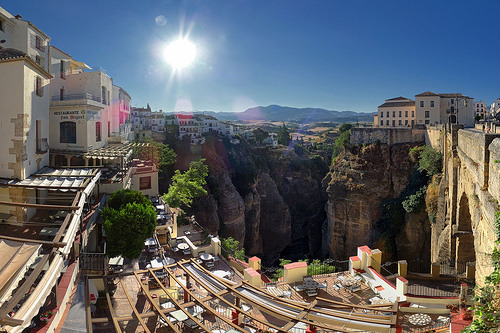 You can use the tried and test Michelin guide for Spain and Portugal which is handy for highlighting the pretty towns and country restaurants that are worth a detour from the motorways. If you are travelling long journeys in the heat of July and August, our advice is to eat as little as possible and to hydrate frequently. Wait until you get to your destination and then relax and enjoy your meals which are bound to be of a much higher standard than anything you’ll find by the petrol pump. If you are doing a lot of mileage, you can check fuel prices and plan your pit-stops here. There are dozens of Apps to check for the best price fuels in your area. 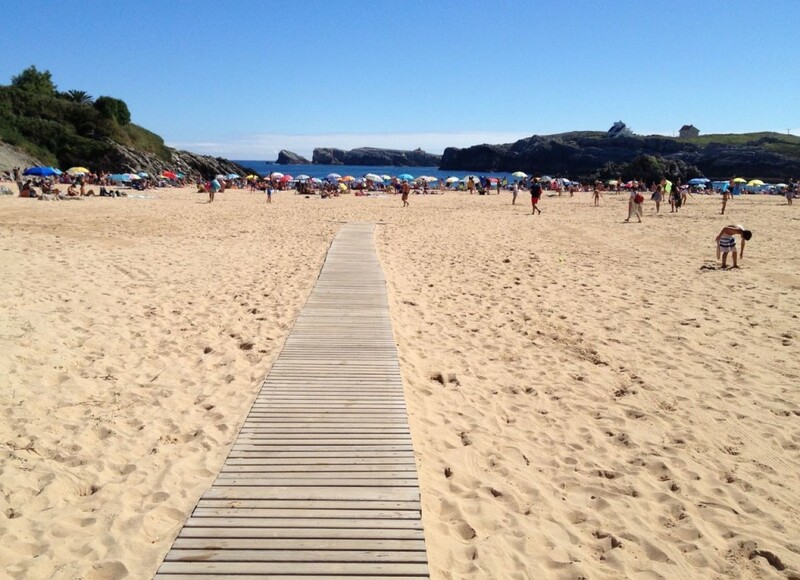 The best little beaches and coves in Northern Spain are usually accessible by car, bike or ferry. Car hire can often be a large expense on a holiday but because Spain and Portugal are very competitive marketplaces you’ll find relatively good value for money. That said, you should bear in mind that manual shift is considerably cheaper than automatic. And if you have an accident or breakdown in an automatic, it will be significantly more difficult to find a replacement vehicle. If you are looking for a specific vehicle whether that’s a soft top or Vito van, make sure to book ahead. Of course, you can book something as standard and treat yourself from time to time – for example – what about this idea of a tour of Barcelona in a Seat 600! We have lots more ideas like this – you get in touch and we can make it happen! Car-hire firms make their money from the extras so try to bring your own SatNav, Trunki child car seats and only add extra drivers if you’re sure they will drive. The one-way drop off (also known as one-way rentals) is a great way to plan a self-drive holiday. It means you can fly into Seville and fly out of Madrid or even Bilbao. As long as your rental is for 3 days or more, then one-way drop off is free. BEWARE of hiring in Spain and dropping off in Portugal or vice versa. Fees are exorbitant. Consider taking out your ‘excess’ insurance coverage online with a third-party company. Some of our UK-based clients recommend Questor. This is something that baffles a lot of clients at the rental desk. In all rentals with Totally Spain, basic CDW is included but there is an excess to pay which varies depending on the model of car. You may optionally insure against this excess by taking out excess insurance as discussed in our previous point. Before you turn on the ignition, we recommend photographing the outside and inside of the vehicle – including the fuel tank level (you’ll need to switch on the car for this). It’s the safest way to make sure you don’t get charged for bumps or grazes on the bodywork that were there beforehand – but might not have been highlighted by the rental company. Try to highlight to the rental company any additional damage BEFORE you leave the car depot. Please don’t let this put you off driving in Spain and Portugal. Our client has every intention of returning to Spain acknowledging it was just really bad luck to be caught out. We were able to get replacement documents for her and after a bad day they were able to put it all behind them. Be aware of what’s going on. Put on your high-vis vest if you break down on a highway or motorway, put on your warning lights, leave the vehicle, lock it, and phone for help. You should also, with great care, place the emergency triangle on the road about 50 metres behind the vehicle. Only accept help from a police vehicle or motorway assistance. Don’t hand over keys until you have seen their ID which is called ‘accreditacion’. It is always better to wait for motorway assistance than attempt to change a tyre – for your own safety and the rest of the vehicles on the road. Just make sure you move away from any danger and wait for the right help to come. It is illegal to talk on your mobile phone while driving in Spain and Portugal. Make sure you can answer calls using your car’s Bluetooth or bring an independent hands-free kit. Play around with this while stationary as each car has a different system. Some people bring or rent a GPS from the car rental company though if you arrange to hire a mobile Wi-Fi device such as the AlldayInternet MiFi we wrote about in our mobile internet blogpost, you can use Google Maps on your phone or tablet or you can download other map apps such as Pocket Earth, recommended for its accuracy and offline function. Whichever you choose, be sure to plug in your destination before you turn on the engine and you are as good as there. It’s always worth trying these apps and tools beforehand so you are familiar in advance. If using your phone for navigation, bring a car phone charger – the navigation function consumes a lot. If you hire a MiFi device, you should find it faster for Satnav not to mention uploading photos and videos and making Skype calls etc. Of course, roaming is finally a thing of the past for EU members but it’s hard to beat the free calls on FaceTime or Skype. If you are the person responsible for the holiday paperwork, consider uploading as much of it to the cloud as possible. The Tiny Scanner App will scan travel documentation easily and create pdfs which you can then store in an App called Goodreader. It’s a perfect way to keep light on paper yet still have copies of all your critical documents. We also recommend using this to scan brochures, restaurant cards etc and things you want as keepsakes – it’ll cut down on paperwork. 39 Where’s the Car Parked Again? Not only is WhatsApp handy for messaging, we also use it when travelling in a group. Set up a chat for the travelling party and whenever you park, share the location of the car to the group. You can also do this with meeting points such as hotel lobbies and entrances to monuments. That way everybody can find their way back to the agreed meeting point or the car or the entrance to the attraction. There are lots of Apps that find your car as well – which might be a good idea if you are travelling solo. We tend to listen to the local news stations which are good but if you don’t understand Spanish or Portuguese, there are lots of Apps that give live traffic updates. Waze is one of those – and is worth trying out before you travel. 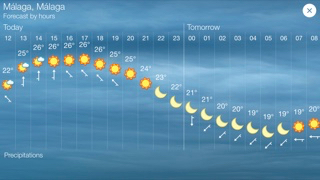 We’ve written up about lots of other handy Apps from weather updates to translation tools and currency converters. Check them out here. Use Spotify playlists for inspiration – search using terms like ‘Spain ambient’ or ‘Spain chill-out’ which bring up a few interesting lists. You can also follow your favourite artist’s Spotify lists so if you like a Spanish singer or group, see what lists have been set up. Take for example ‘Camaron de la Isla’ or ‘Rosario Flores’ – not only will you find the best-selling albums but you’ll also come across playlists that include re-mastered tracks and hard to find compilations. It’s always good to look up musicians from whatever region you are driving through – for example check out some tracks by Carlos Nunez if you are driving through Galicia, and Paco de Lucia in Andalusia. And it’s a bit of a cliché but it’s hard not to be moved by Freddy Mercury and Monserrat Caballé singing Barcelona if that’s where you are heading for. Check ticket websites such as Ticketmaster for the names of the big Spanish bands. Today, it’s listing Melendi, Miguel Bose and Joaquin Sabina – which gives you a range of styles to put into a playlist. If your tastes are more specialised, look at the individual venues for names – for example if you like blues, funk, swing or jazz, go to the website for El Junco in Madrid and download some tunes from upcoming artists. You can do the same in Portugal. Check out live music venues in Lisbon for names of artists and download a bit of fado, bossa nova or whatever else takes your fancy. If you enjoy them in the car, maybe you can catch the artist or group when you get to your destination! Not only is it a great idea to see a few of the movies made about/in Spain before you travel but the soundtracks make for great listening while you drive here. 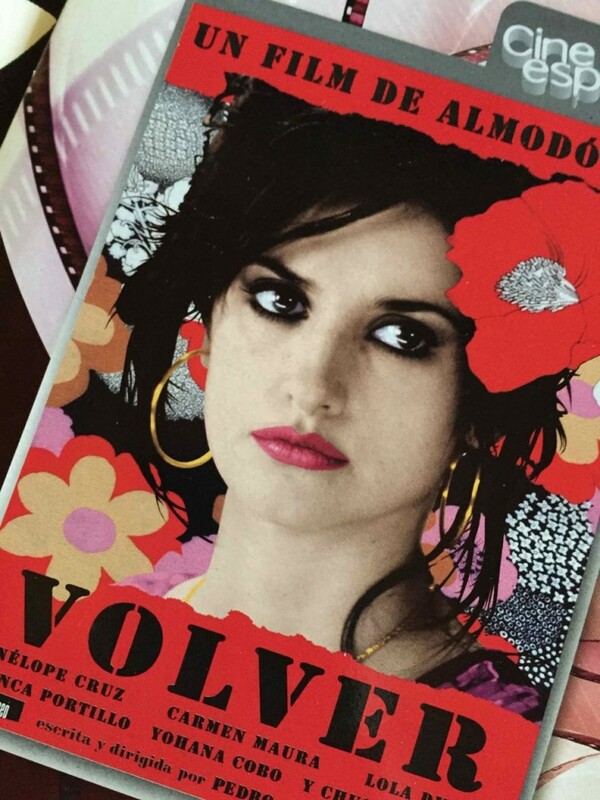 We are big fans of the ‘Almodovar’ soundtracks to movies such as ‘Volver’. Read up on some of the Spanish classic movies to give you some more ideas. If you hear a song you like while out and about, Shazam it and later on you can download the track to play while you drive. This is a great idea if you are in a flamenco show and enjoy a particular song or happen to hear a busker singing something you’d like to listen to again. And of course, it’s a bit obvious, but put on the local radio as well. Between the music and the language, you’ll get a real sense of where you are as you drive. If you aren’t travelling with a custom itinerary, it might help to purchase a few guide books. 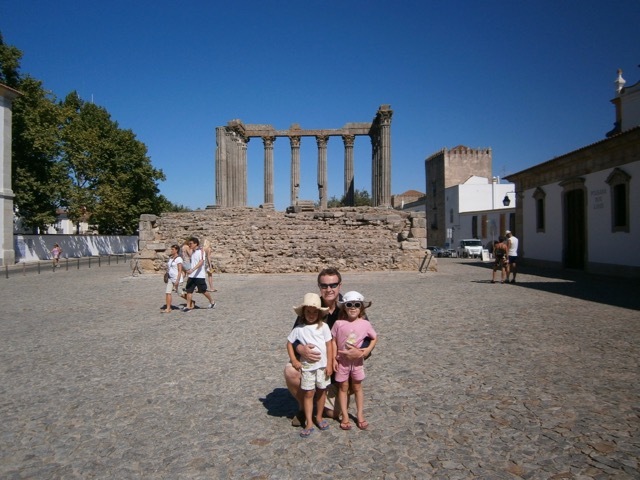 Lonely Planet has recently produced a Best Road Trips Guide to Spain and Portugal that is useful. You’ll find lots more titles from Fodors and others – that are always worth reading before you plan your trip. We’d also recommend picking up or downloading a biography on living in Spain. ‘Driving Over Lemons’ was published back in 1999 but if you still haven’t read it or Chris Stewart’s subsequent titles, why not do so. They are more about the journey of life than actually travelling by car – but all the more interesting for it. You could download a few of these as audio books and listen as you drive around. Best-selling Spanish authors Arturo Pereze Reverte (The Club Dumas) and Carlos Luis Zafon (The Shadow of the Wind) are also easy to find in English and you’ll find them on Audible to listen as you drive. We’ve written so much about how to have a great holiday in Spain and Portugal. Don’t wing it and start planning what to do when you collect the keys at your car rental office. 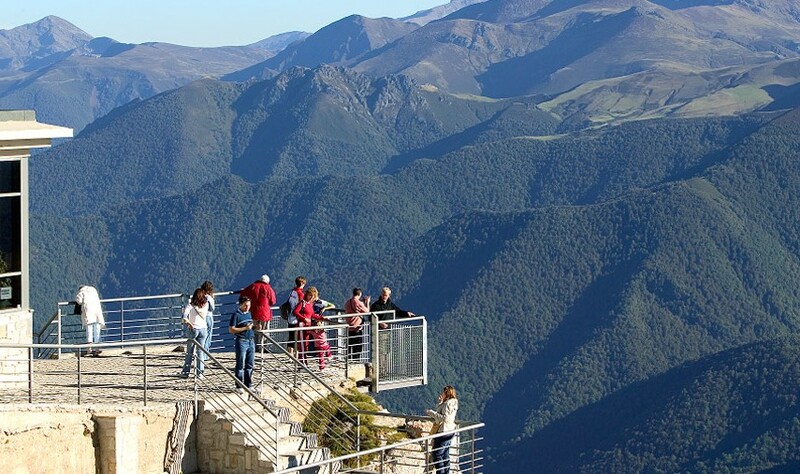 Check out 25 Non-touristy Things to Do in Spain, plus our Insider Guides and Popular Posts. And get in touch if you’d like us to plan your trip for you. Posted in Active breaks, Popular Posts, Portugal, Spain, Useful Information and tagged breakdown, carparks, cars, CDW, child seats, driving, extras, fines, IDL, insurance, itineraries, maps, motorways, parking, Portugal, private drivers, rentals, roadway assistance, SatNav, self-drive, Spain, speeding, tolls, tow truck.